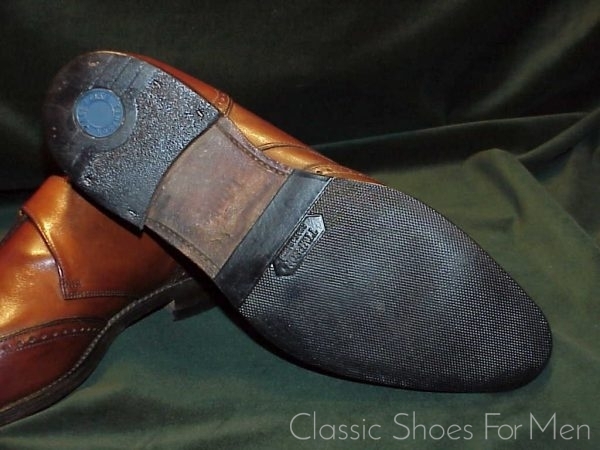 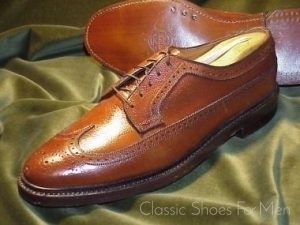 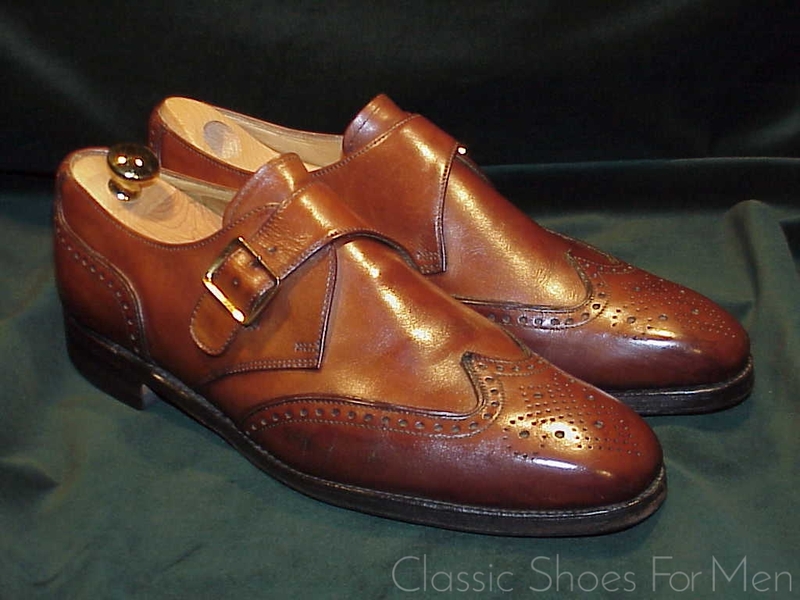 Monk Strap Shoes are among the oldest traditional models to survive to the present and they remain very much in the English taste, an aristocrat’s shoe from the old school. 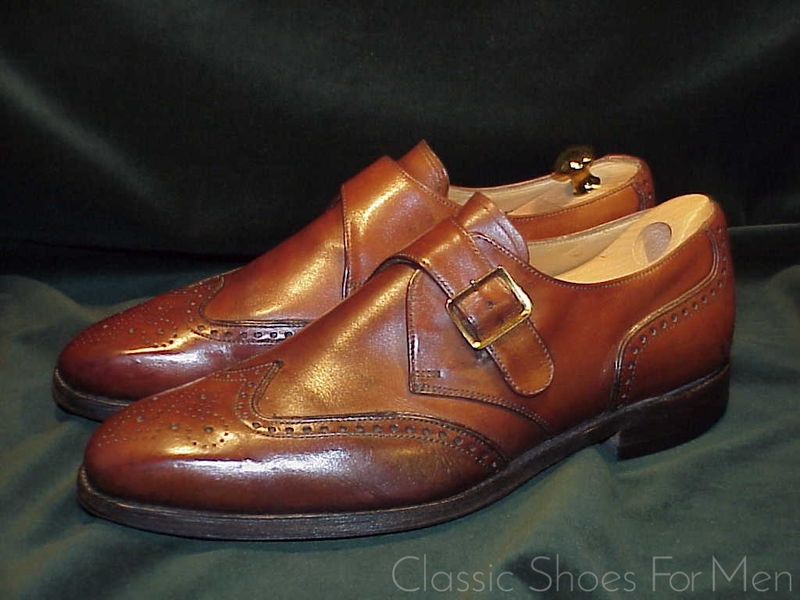 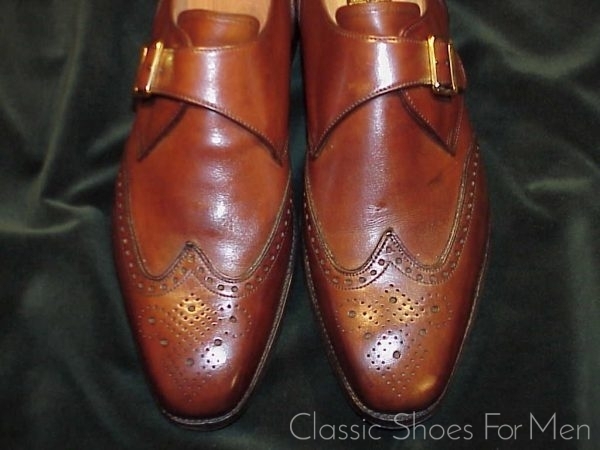 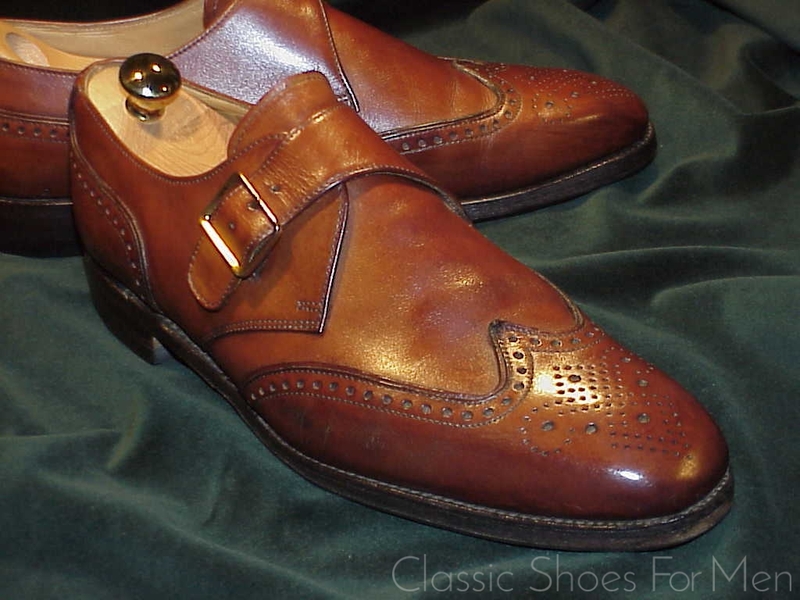 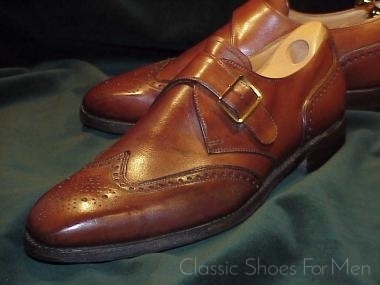 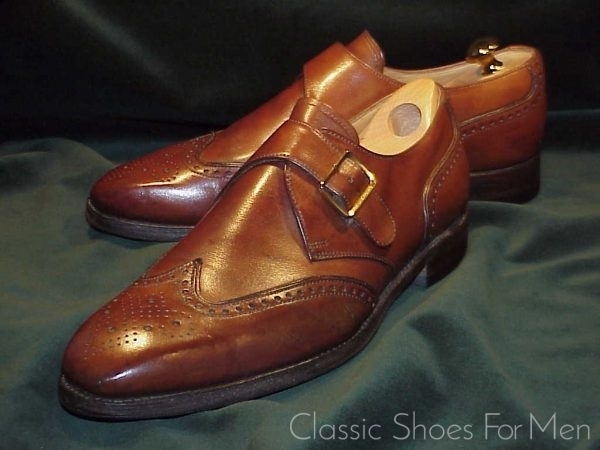 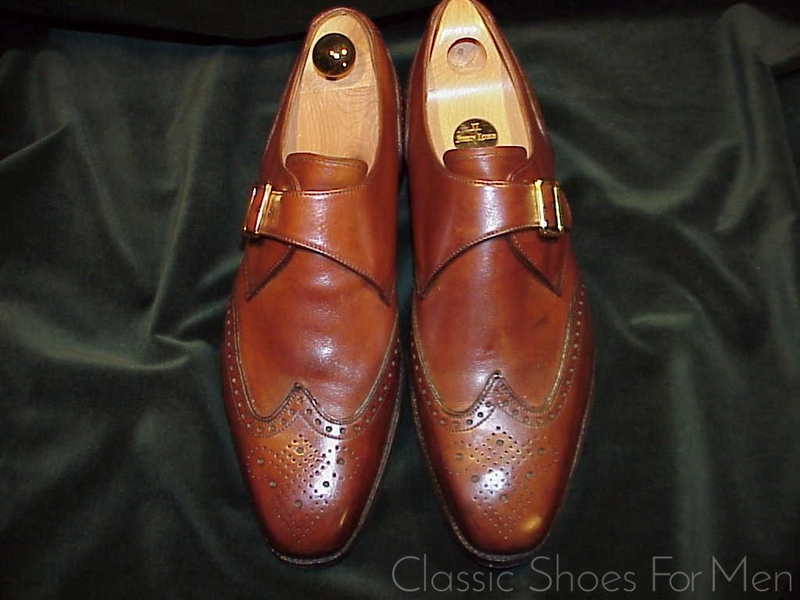 The Wing-Tipped and brogued version of the Monk Strap, as shown here, is the least common of the Monk varieties. 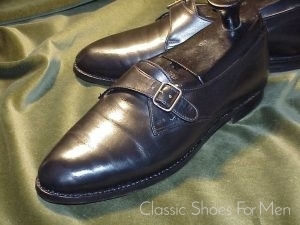 Most Monks are plain fronted and some are cap-toed but all afford an elegance born of tradition. 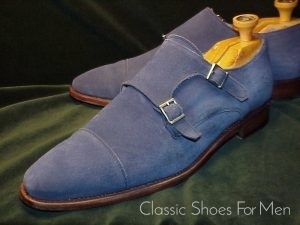 The brogued monk, more than the others, exudes a bespoke air but all suitable for all but the most formal dress, and punctuated with the insouciance of a discreet buckle, they proclaim the independence of the gentleman from conservative convention while observing the proven dictates of tradition. 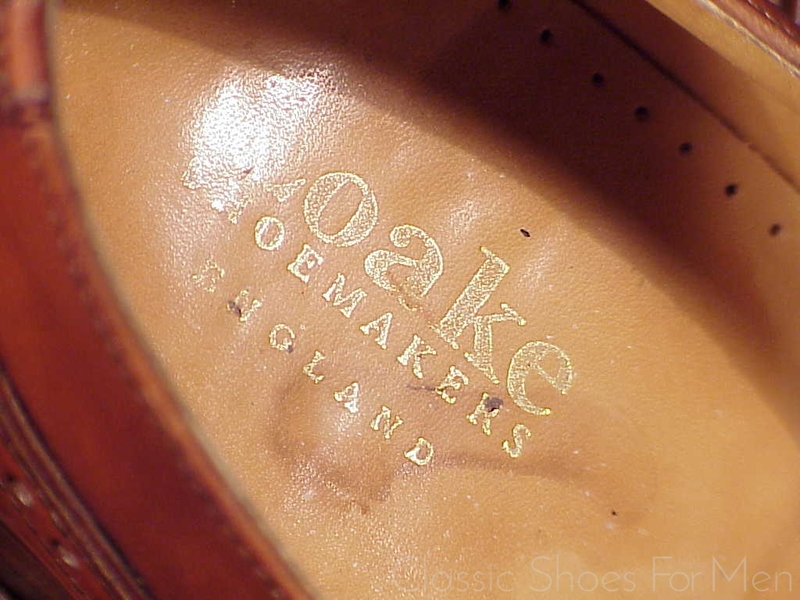 This version of the brogued monk by Loake with its dynamic chisel toe takes this dispassionate sophistication one step farther and in a most charming direction. This classic Loake Monk in warm brown Box Calfskin will take to polish like few other shoes and reward the owner with the rich patina of heiroom furniture. 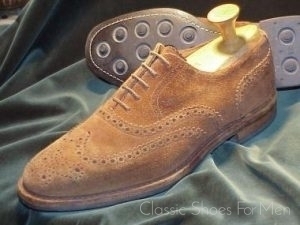 8E UK.......US 9D.......42D Continental, for the medium width foot. 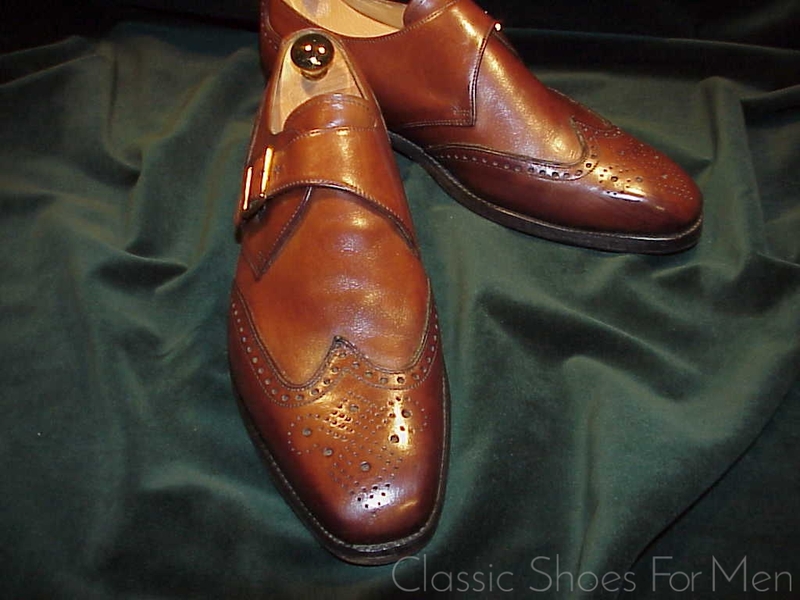 Showing some rounding of the heels, slight wear to the added rubber protective soles, blemishes and crease lines, otherwise excellent.